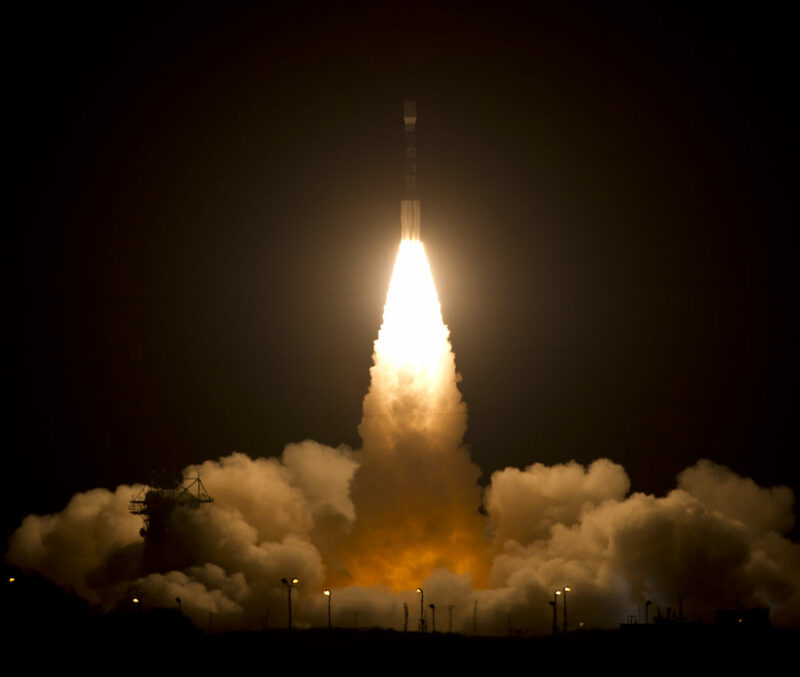 October 28, 2016 – The NOAA/NASA Suomi National Polar-orbiting Partnership (Suomi NPP) satellite, built by Ball Aerospace, was launched five years ago on October 28, 2011. Since then, Suomi NPP has provided life-saving data to weather forecasters and has given scientists new tools to help monitor the health of our planet. What makes Suomi NPP such a powerful tool is the wide range of important observations it makes with its five instruments. In addition to providing global three-dimensional temperature and humidity information for the National Weather Service and Department of Defense, Suomi NPP measures cloud and vegetation cover, measures and monitors the protective layer of stratospheric ozone, images sea ice, captures the Earth’s changing vegetation, measures sea and land surface temperatures, and tracks wildfires with high detail and accuracy, providing environmental intelligence for decision makers in government and industry and to the general public. The instrument suite includes the Visible/Infrared Imaging Radiometer Suite (VIIRS); the Cross-track Infrared Sounder (CrIS); the Clouds and Earth Radiant Energy System (CERES); the Advanced Technology Microwave Sounder (ATMS); and the Ozone Mapping and Profiler Suite (OMPS). Since launch, data availability from the Suomi NPP spacecraft stands at an impressive 99.75 percent. NASA uses Suomi NPP data to study long-term climate trends by extending the more than 30-year satellite data record. The satellite provides scientists with data for more than 30 key long-term datasets, which include observations of the ozone layer, land cover, atmospheric temperatures and ice cover and provide critical data for global change science. The satellite is the primary operational polar-orbiting spacecraft for NOAA’s critical environmental forecasting mission. Suomi NPP’s advanced imagery of clouds, ocean surface, land features and other physical parameters offers key data for civilian and government forecasters. Precise observations from the satellite are helping improve the accuracy and extend the range of global weather forecasts three to seven days in advance of significant weather events, including hurricanes and winter storms. In addition to contributing vital information for global weather forecasts and outlooks for severe weather, Suomi NPP supports search and rescue operations, disaster response preparations, military operations and environmental monitoring. 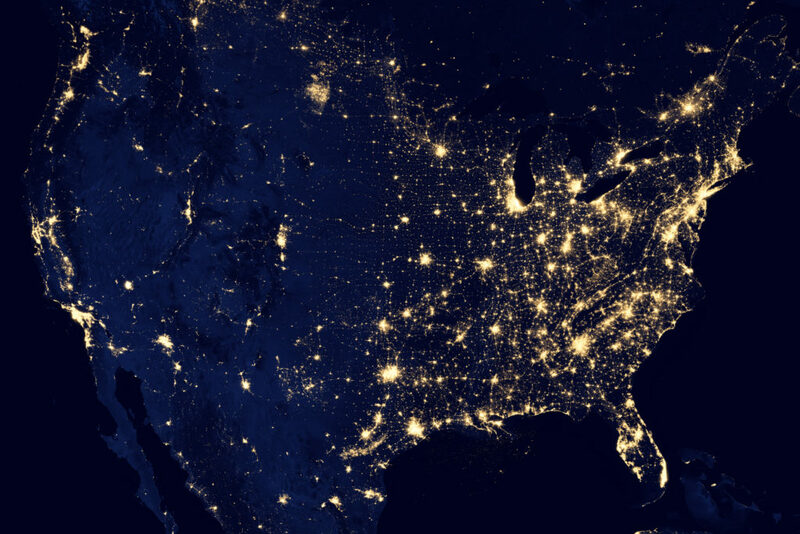 Suomi NPP observes Earth’s surface twice every day, once in daylight and once at night. The spacecraft flies 512 miles (824 kilometers) above the surface in a polar orbit, circling the planet about 14 times a day. Suomi NPP sends its data once per orbit to a ground station in Svalbard, Norway, and continuously to local direct broadcast users. Researchers world-wide are then able to use customized algorithms, or mathematical formulas, turning raw data into images to help manage quickly changing regional events, such as rapidly spreading forest fires, rushing flood waters and floating icebergs at the poles that could affect the shipping and fishing industries. Suomi NPP is named in honor of the late Verner E. Suomi, a meteorologist at the University of Wisconsin who is widely recognized as the father of satellite meteorology. Suomi pioneered remote sensing of Earth from satellites in polar orbits a few hundred miles above the surface with Explorer 7 in 1959 and geostationary orbits thousands of miles high with ATS-1 in 1966. He was best known for his invention of the “spin-scan” camera which enabled geostationary weather satellites to continuously image Earth, yielding the satellite pictures commonly used on television weather broadcasts. Ball Aerospace in Boulder, Colorado, designed and built the Suomi NPP spacecraft in collaboration with NASA’s Goddard Space Flight Center and was responsible for integrating the instruments and for performing satellite-level testing and launch support. Ball also designed and built one of Suomi NPP’s five instruments, the Ozone Mapping and Profiler Suite (OMPS). Ball is building the next generation weather spacecraft, the Joint Polar Satellite System-1 (JPSS-1), targeted for launch in 2017. JPSS-1 will carry improved versions of the five instruments on the Suomi NPP satellite, including another Ball-built OMPS instrument. The Suomi NPP mission is managed by NASA with the National Oceanic and Atmospheric Administration (NOAA) providing operational support and NOAA’s Joint Polar Satellite System (JPSS) managing the satellite’s ground system.